Emem Ime Okwoche, producer of popular morning TV talkshow Your View (pictured above) and lifestyle show Wake Up Nigeria, tells Opara Gabriella how she juggles two shows with impending motherhood. Against the backdrop of a Wake Up Nigeria banner and TVC Entertainment Splash showing on the television in front of us, Emem Ime Okwoche is all charm and grace as we discuss the TV shows she produces on Television Continental (TVC). What led to the creation of Your View? Your View is based on the US talkshow The View, where women come together to talk about social issues. The View helped form the idea behind Your View. However, I wasn’t a producer of Your View when it started, I came in a while later. How has the show been affected by the new hosts over the years? The idea of having new hosts on Your View is to give diverse views and fresh intellectual content to the show. This has had a huge impact on the show because we did not just invite anyone, we scouted for women who were strongly opinionated and intelligent who we knew would bring fresh perspectives, with different views to the regular hosts on the show. The hosts are all female, except for Cyril. Is this deliberate? Yes, it is deliberate. Cyril is not a presenter of the show, he comes in as a guest. The reason why women host the show is because Your View is meant to be a voice for women who are concerned about social issues. You will realise that there are very few talkshows for women in Nigeria and even fewer that address topical social issues. 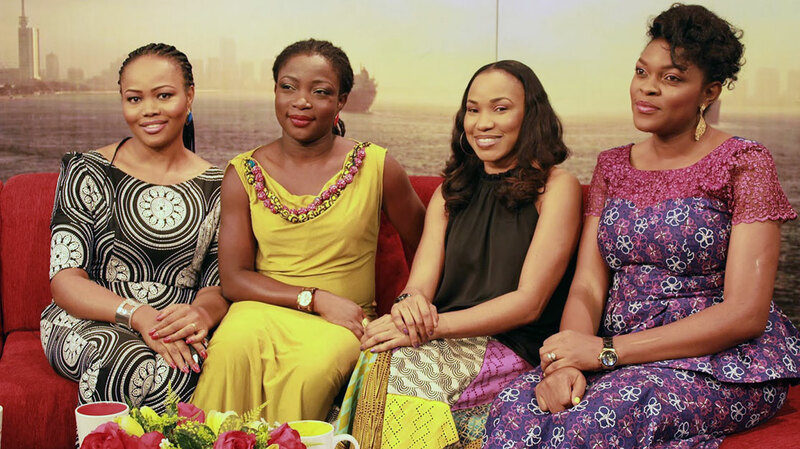 How do you feel about going in front of the cameras as a presenter on Wake Up Nigeria? It’s been thrilling. Presenting has always been my first love, despite my science background. Upon joining TVC, I got the opportunity to produce Your View. Although I thought it wasn’t my forte at first, I grabbed the opportunity. Yes, it was challenging but in time I got excited because I retained an open mind and a willingness to learn and that helped me get a lot of ideas on how to make it better and stay top notch. Then along came another opportunity, to present for Wake Up Nigeria. So, again, I grabbed the bull by the horns and auditioned. For me, it’s one more step in the right direction. I am also one of the producers for Wake Up Nigeria. Tell us about your science background. I studied medicine for three years at MacDonald University, Anambra, before transferring to biochemistry later on. What are your experiences of producing Wake Up Nigeria? It’s been fun; something new everyday. There are a lot of producers for the show and I am one of them. Wake Up Nigeria is a two-hour show, a potpourri of everything entertainment and an animal for content, so it needs more than one person to produce it. When it comes to content delivery, it is important that you have different people coming up with new ideas. 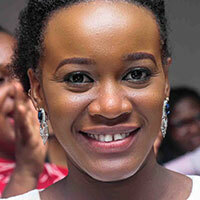 Morayo Afolabi-Brown [host of Your View] selected a couple of people to produce the show because she needed content that would add value to the show. We all work together to produce a content-filled show. No-one is dedicated to any segment. I could say I’m somewhat more dedicated to fashion, as it is my forte, and I come up with the fashion DIYs on Wake Up Nigeria. What is the differences between Your View and Wake Up Nigeria? The similarities are they are both TV breakfast shows, they appeal to similar audience and the same issues are often discussed on both shows. The differences are that Your View is hosted by women who discuss, focus and address issues that affect society at large. They also represent every Nigerian woman by giving her a voice. 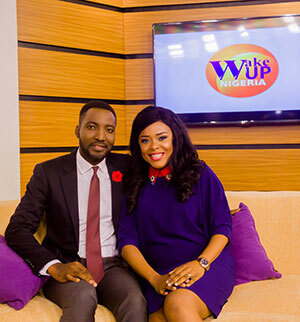 Wake Up Nigeria, however, is hosted by presenters who represent different classes of young men and women. It is a potpourri of all things, including fashion, music, movies, entertainment, arts, sports and more. It appeals to youths and women. How do you balance your job as a presenter and producer with your impending motherhood? As a first-time mum, it’s been challenging. Wake Up Nigeria starts really early, about 07.00, so I am up by 04.00, getting ready for the day. One thing that has helped is time management. I work with time and structure everything I do according to it. What do you have planned for Wake Up Nigeria for this year? We have a new outdoor set. Also, we are dishing out content that will keep our viewers locked to the show. We get comments from viewers who say they love the show and that’s what drives us to do more. We draw from that drive to feed our viewers with the content they are yearning for. What’s the one thing you’d like Content Nigeria readers to know about you? People usually don’t know that I’m a fun person. The first impression they usually get from me is that I’m a snob, but the truth is I am a fun-loving person and I love to cook. I cook very well. Catch Wake Up Nigeria and Your View every weekday on TVC Entertainment on GOtv channel 25, StarTimes channel 121 and Play TV channel 801 from 07.00 and 09.00 respectively.